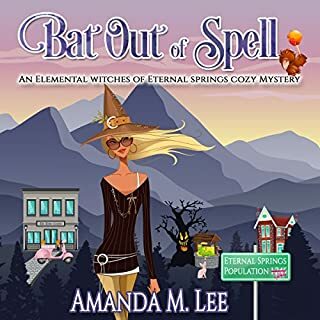 Witch You Well is a top rate example of the cosy mystery genre. How can your heart fail to be warmed by a family of witches, hard working, eccentric, arguing, making up and there's even a dog! You get a huge package within one book, there's murder, mystery, broken marriages, romance, deception, magic and a dog!! (I love dogs!!). Much as you shouldn't smile your way through a murder enquiry, I couldn't help it, the whole tale was so endearing. I laughed at rebellious Aunt Pearl, felt huge sympathy for the lovely Cen and her poor mother, cheered when she had her little chat with Brayden and fell in love with Sheriff Gates. Nearly 6 hours of eloquent writing, beautifully articulated by Petrea Burchard, who's narration I enjoy more every time I listen to her. 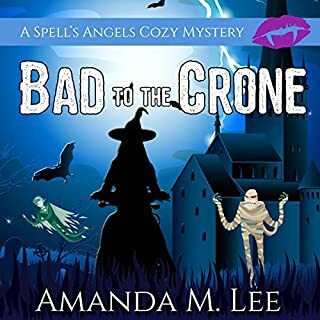 This is Book 1 in the Westwick Witches Cosy Mystery series and I look forward to spending more time with Cen and her enchanting, (if you'll excuse the pun!) family. 5 stars and a go out and treat yourself recommendation from me. You can always thank me later! 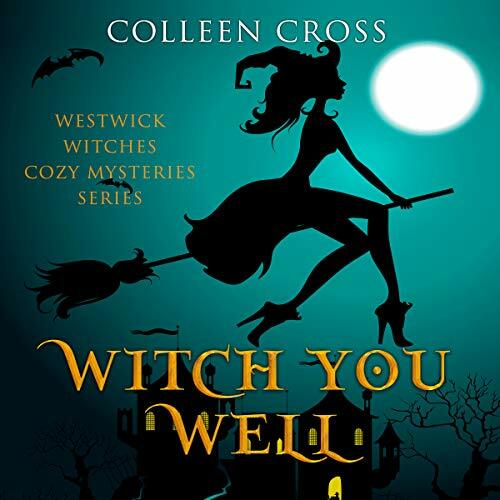 I loved Witch You Well, the characters and story kept me interested and I finished the book after only a couple of days. It was entertaining and I didn’t guess what was going to happen next. I loved the story, narration and characters so I’m looking forward to listening to the other books in the series. I enjoyed this story. it did seem to get forgetful over the storyline (where the two friends on the out for a year, a few months, just the one month?) as it kept changing. but, it didn't detract from a good story, that allowed me to overlook that. I think the main body was good, but the end seemed quite rushed, as if trying to tidy up the loose ends needed to be done quickly? I'll still go and look for the next book in the series though! I received a copy if this book in return for an honest review. The views are completely my own. Solve this witchy murder mystery! Colleen Cross has penned a fun cozy mystery. 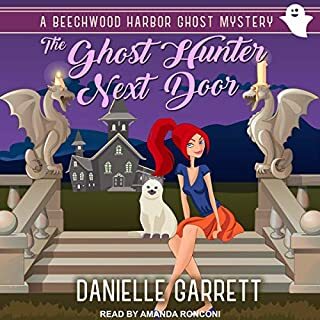 It was an easy listen with narrator Petrea Burchard and she did well at drawing me back to the story if I got distracted while driving. Yes I listened to the entire audiobook on an epic drive interstate. I enjoyed the journey with Cen and her crazy aunt. There was some good banter and twists. It was light-hearted and easy listen. 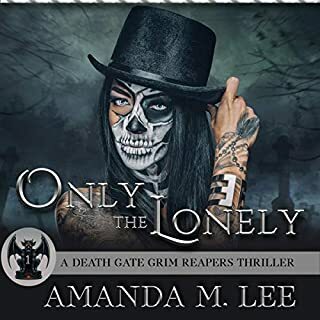 I had previously read book two in this series (which was enjoyable and had enough backstory to make it easy to slip into ) but it was certainly great to start at the beginning and learn the whole backstory. The book was enjoyable, a nice easy listen with no need on my part to work out things which is what I want in my relaxing listens. I want a story that tells you everything (too many leave you having to work out things yourself even if they give you all the information fine in a work of non fiction but not for a relaxing book). To me, an author should provide everything and this author does just that, no work from the listener required except to listen fully. The author ensures all the Is are dotted and Ts crossed which I am very happy about. To me this series is ideal as a relaxing read - you can slip into their world and just enjoy being a looker-on, totally immersed in their world. 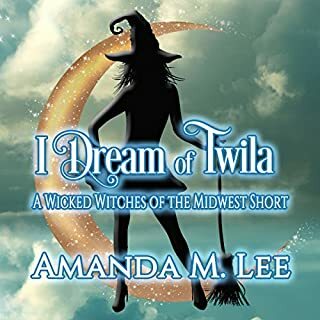 The Narrator, with me, already listening to book two this time fitted the book - you see for me I had felt she sounded too young as I am not used to all US accents but now I am used to her accent I see how well she fits the main character who is the one telling the story. If you love mixing witches with murder and a side of romance then this book series is definitely for you yet it's not a book I would think the males out there would find to 'girlish' but nor is it x rated either, suitable for all ages really - I am an oldie but teens would love it plus all in between. I was given this book free on the understanding that I would be willing to write a truthful review. If I had not received it free I certainly would have bought it and do plan to purchase the other books in this series. The story overall was quite entertaining. However, as the main characters were witches, I would have liked a little more magic. It all seemed a little too secretive. Initially, it took me a while to enjoy the narration, as Sandrine had rather a lazy way of speaking. I soon realised that the narrator was rather clever in her use of her voice to give each character a rather distinct way of speaking and the main character soon grew on me. The book is OK. 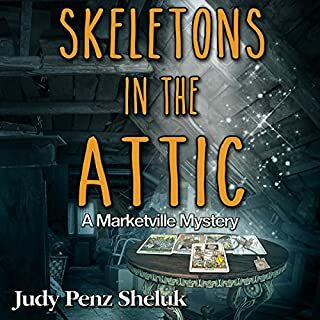 This is a cozy mystery with fantasy but it is not the best mystery that I have read. You would be able to figure out who did, so it is not taxing on the brain. However, I did like some of the characters, I found them to be funny.